I have a lot of credit cards. Between me and my wife around 30. My score has stayed about the same from last year. With all the cyber crime going on these days, it's especially important to keep up-to-date on your credit score and report. You can get an annual free credit report at www.annualcreditreport.com, and there are several free sites that will give you a free credit score. With so many different ways of getting a free credit score these days, there is no reason to get a paid monthly service for your score. 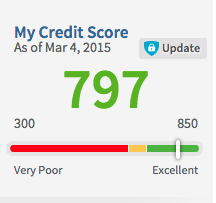 Note: Of course you have to have a credit card with Discover, Barclay, US Bank, and/or Citi to get a score. 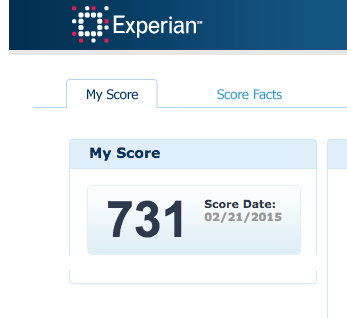 I'm happy with a score that is over 740. 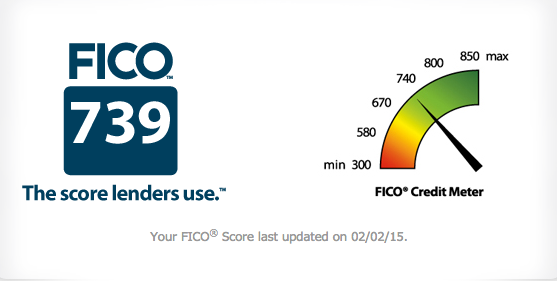 Any higher then that does not really improve you ability to get new credit or better loan terms. There is a possibility that I will be purchasing a home this summer so I haven't been applying for new credit cards for a about a month and will not get any new cards until I decide on getting a mortgage or not. Check out other FAQ's about credit cards. 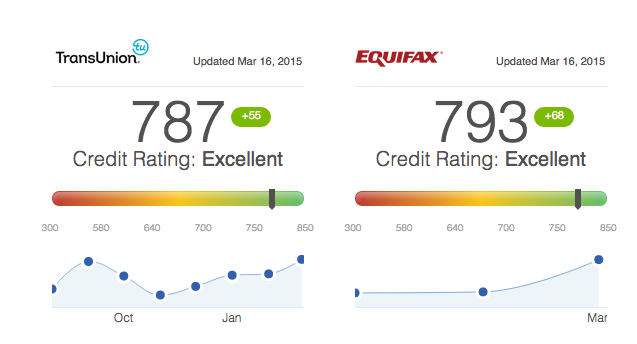 My favorite source to use is CreditKarma.com because it updates every week and it will give you 2 different credit bureaus scores.